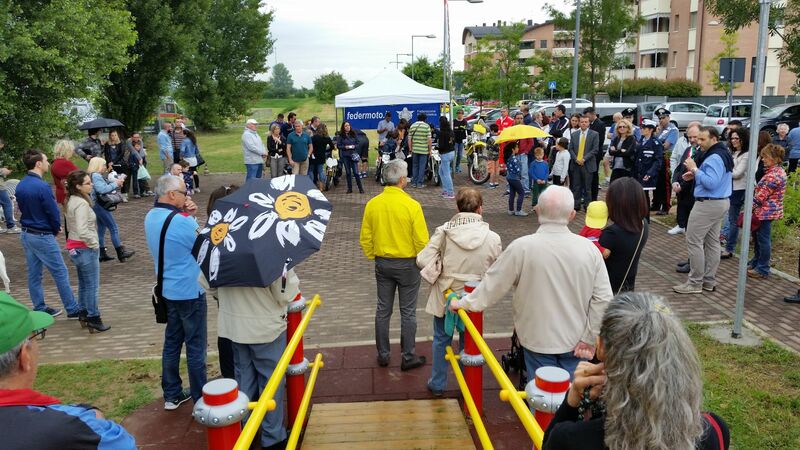 As from saturday 19th June, the playground at Via Terramare in Zola Predosa will be called "The Marco Simoncelli playground". 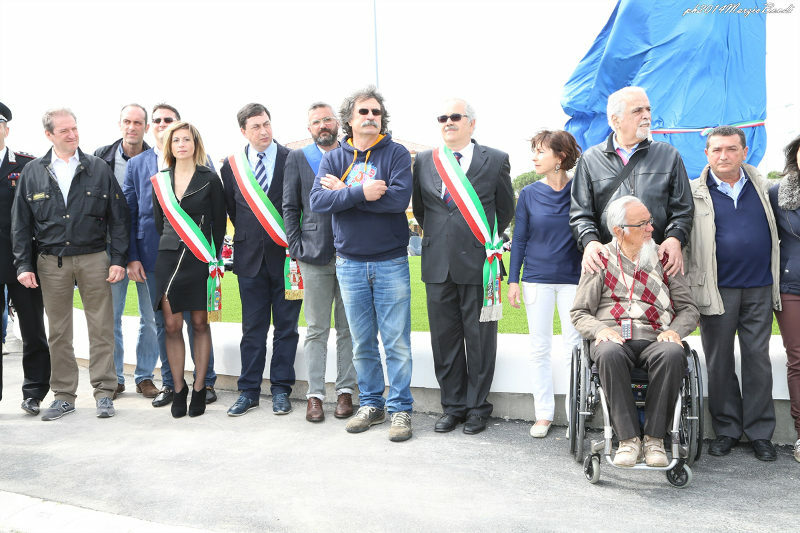 We thanks the Major of Zola, Mr Fiorini and Mr Ernesto Russo who made of promoter of the initiative possible and has organised the inauguration. 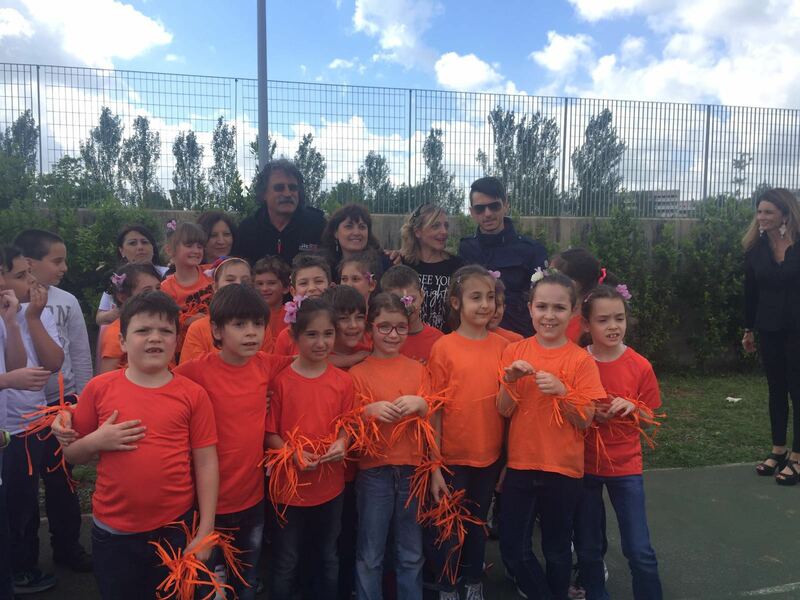 From now on, in Zola, this playground will be attended by children, parents and grandparents, who will always remember the name of Sic. 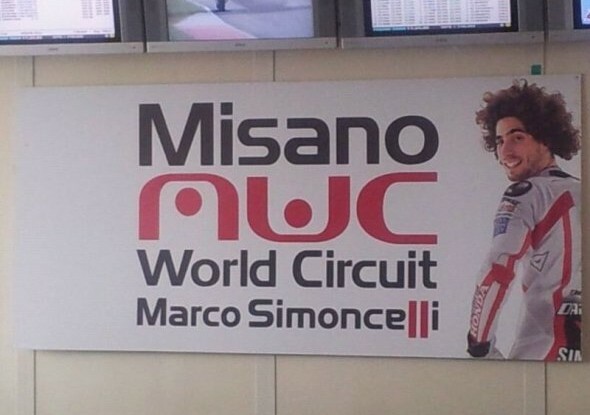 Since 09/06/2012 the famous Misano circuit that holds all the important races such as the motogp world championship was named forever after Marco Simoncelli. 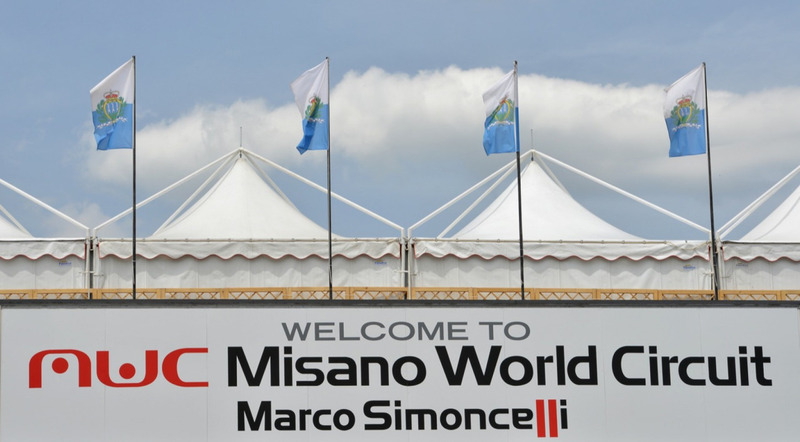 The traditional brand of MWC , with the name Marco Simoncelli , that with the double “L”, calls the red markings on the back of the Simoncelli helmet, symbols of hope that looks at the future” has said the representative of the Santamonica Spa, Umberto Trevi, show a proud and moment , not only for Santamonica but also for every person passionate about motorcycles and for the sport. 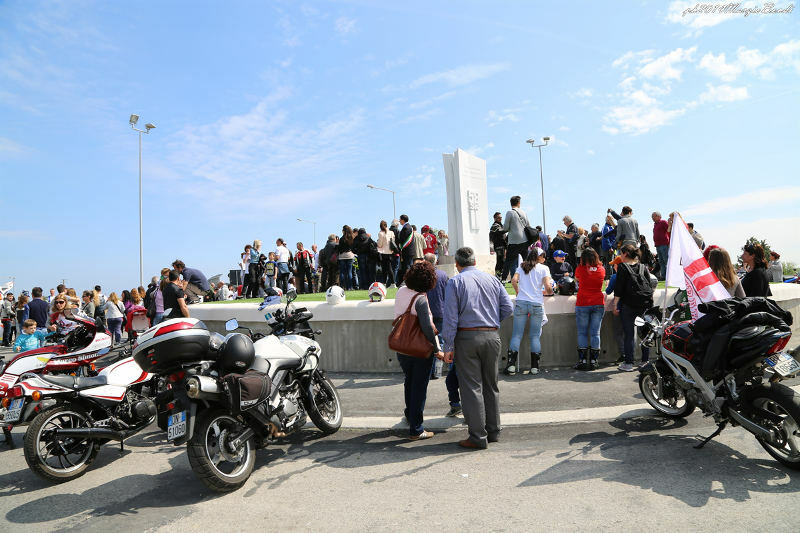 Now his name is protected by the foundation born in his memory and we will arrange events in order to remember and to let new generations know who Marco was, his hopes and what he represents for the young people. 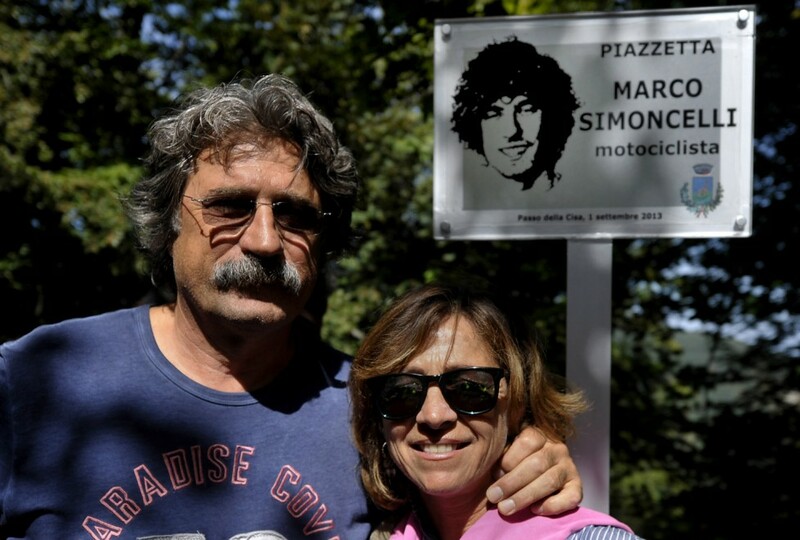 Marco's father Paolo and mum Rossella are moved by this want to say thank you for the testimonies of affection of the world. 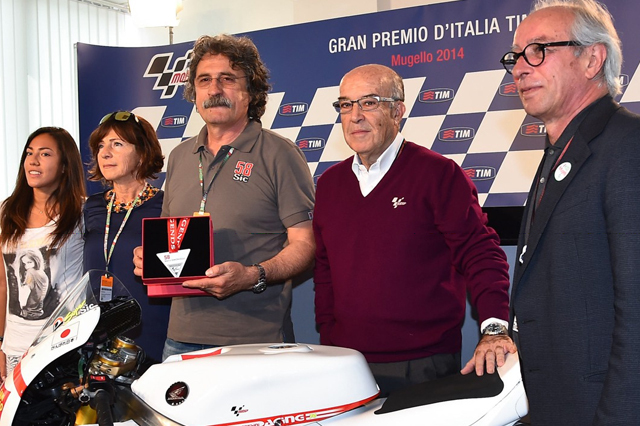 "This initiative to inaugurate the track of Misano to Marco is a very beautiful thing. 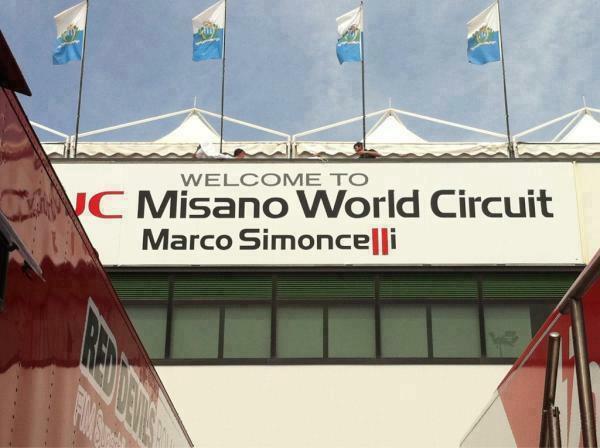 Thank thank you to Santamonica because they have conducted the races in Marco's name and in this way , the world will always remember him." 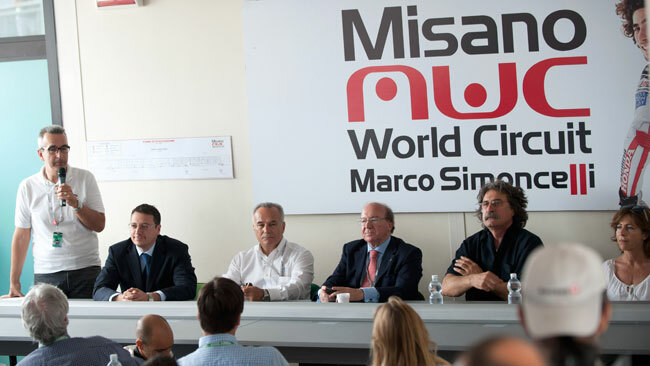 The name of the circuit was the beginning of a way undertook with pride from all the management, from all the staff and from all the partners who daily live in this facility! 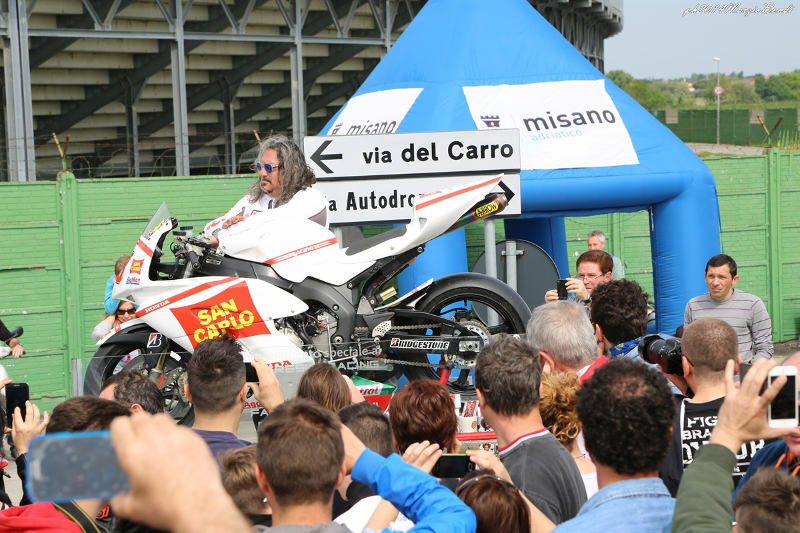 At this initial stage, the area could not miss, an area innately connected by motorsport and by the achievements of its hero, the “Sic”. 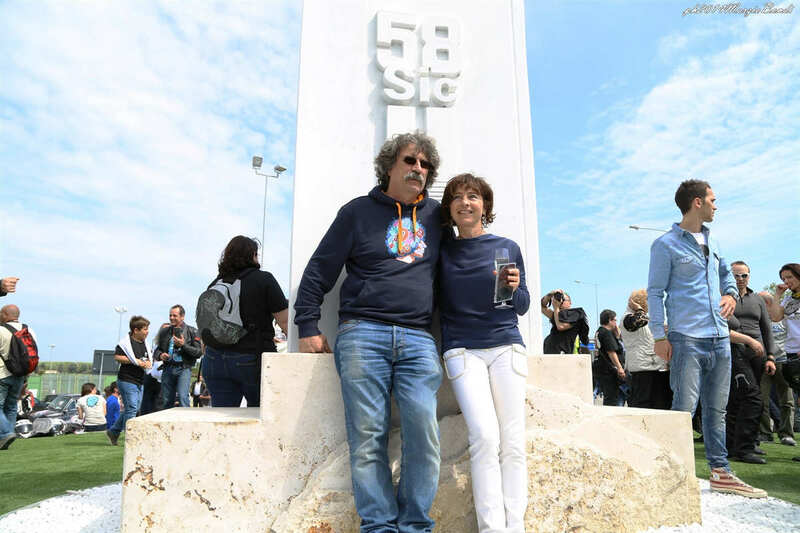 And this is exactly from the wave of this passion that the municipality of Misano erected a celebratory monument standing near the entrance of the circuit, this circuit which saw Marco a lot of times as protagonist. 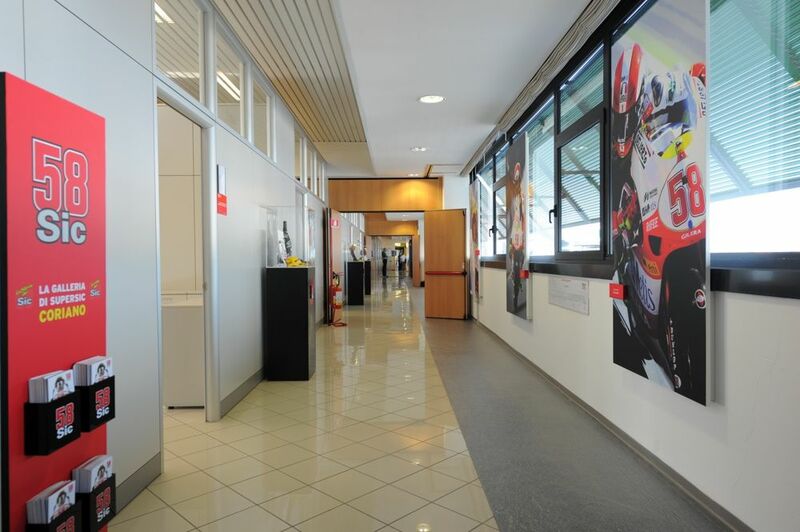 A laboratory dedicated to Marco Simoncelli. 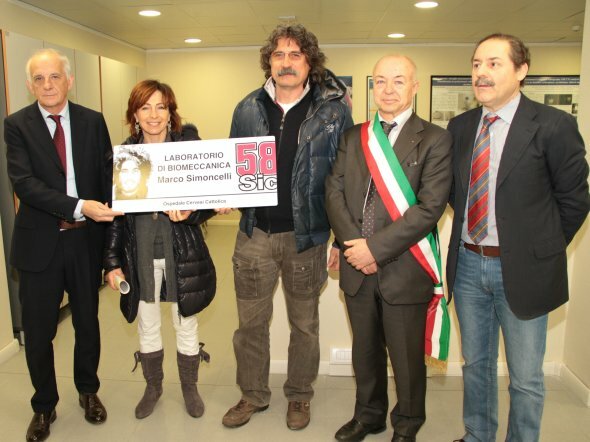 The hospital "Cervesi" of Cattolica (RN) has decided to celebrate the italian rider, dedicating a laboratory of biomechanics to Sic. 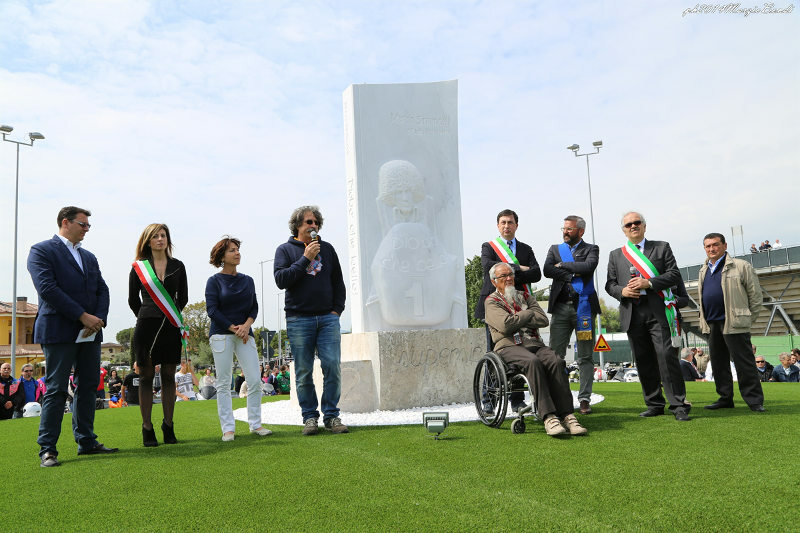 At the ceremony , on 24th October 2012, were the parents of Marco , Father, Paolo Simoncelli and mum Rossella, as well as regional authority and the Catholic's mayor Piero Cecchini. 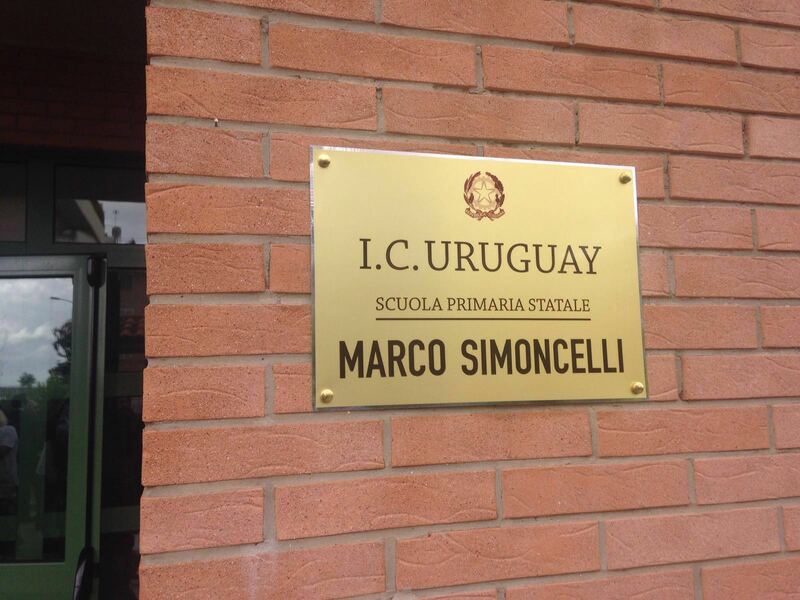 Marco was born in the Cervesi hospital on 20 January 1987. 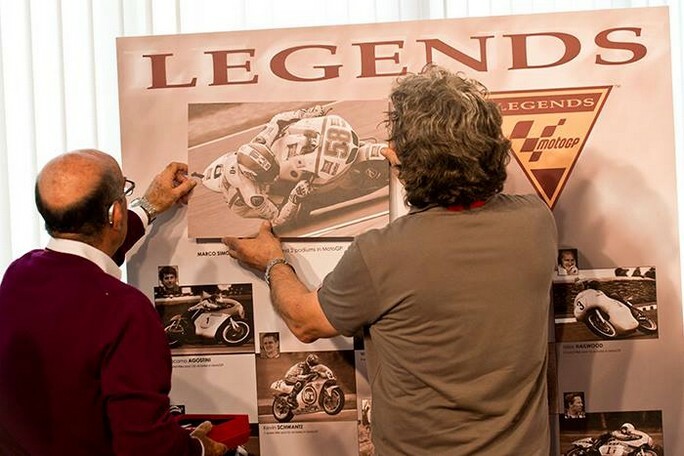 The Unforgettable Sic has been inaugurated into the gallery of the Legends of Moto GP. 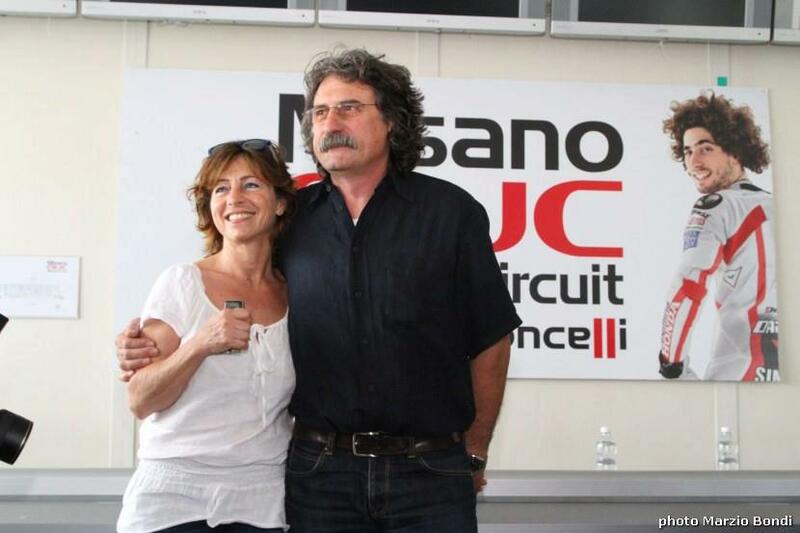 The ceremony took place at Mugello, where Marco takes his place in the Hall of fame, reserved to the true legends of this sport, those of names of which nobody will ever forget. 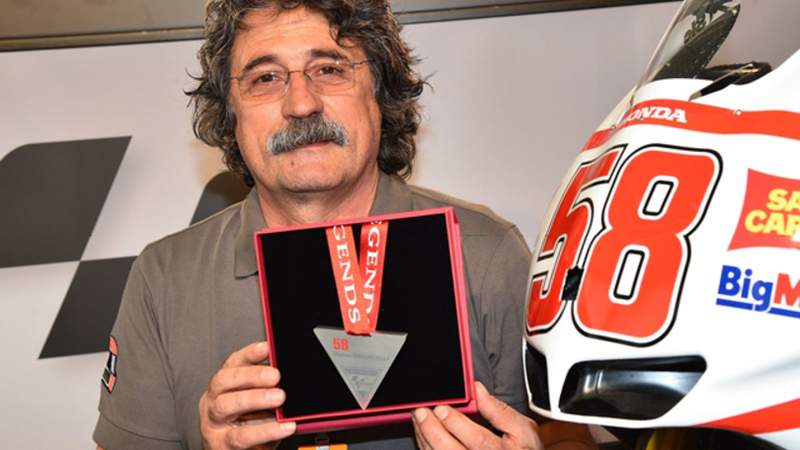 The last person to enter previous to Marco was Casey Stoner last year at Phillip Island; Simoncelli is the 21st rider to become a Motogp legend, adding to his compatriots Agostini and Ubbiali. 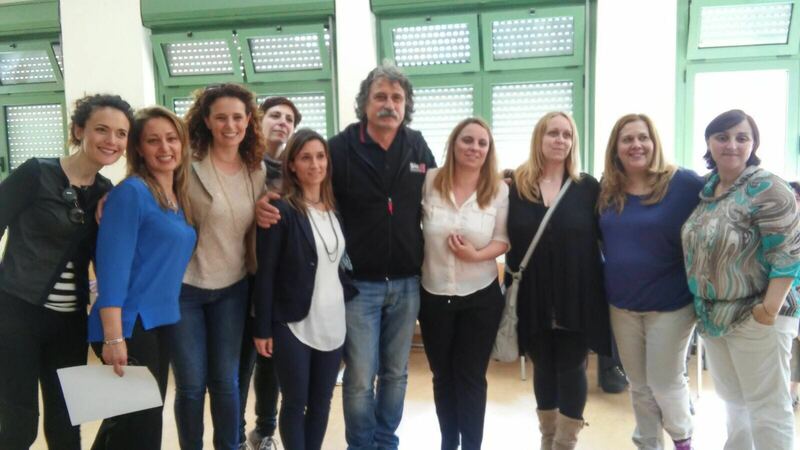 Pictures and articles of newspaper testify the affection for Marco. 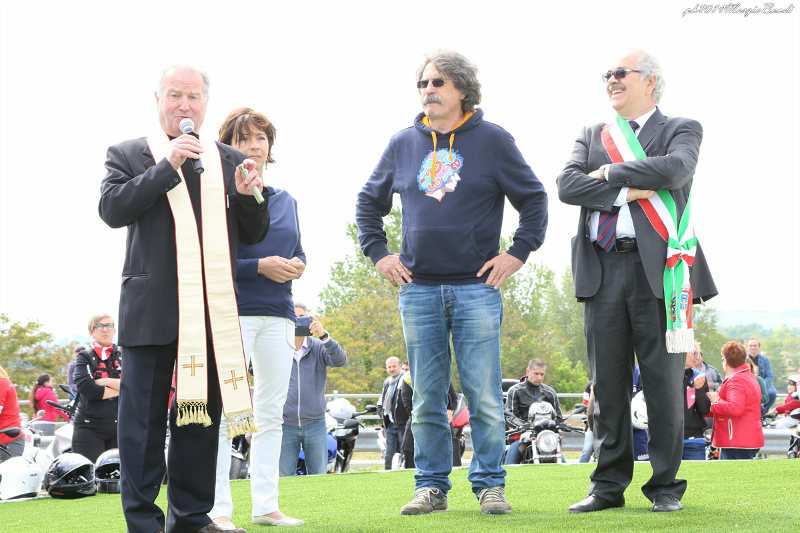 On 1st September 2013 was inaugurated a pillar intitolated to Marco at Passo della Cisa, an important destination for bikers. 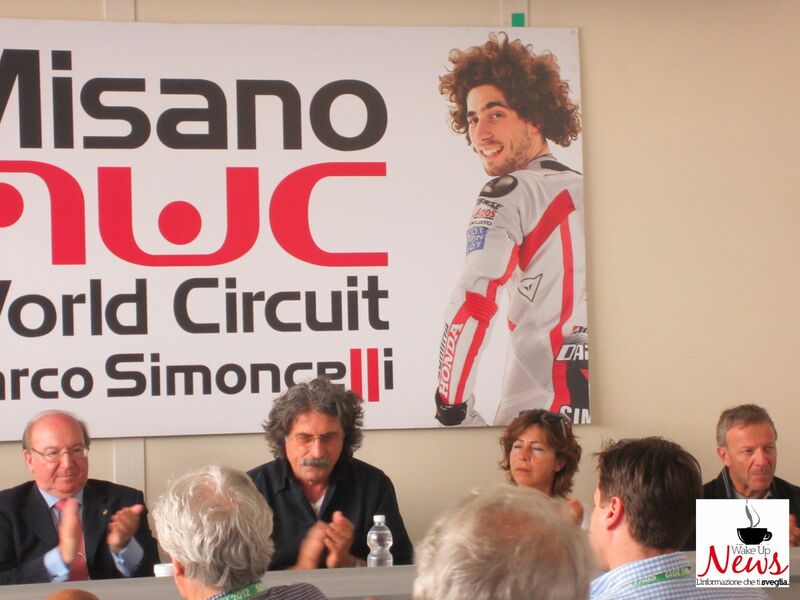 From there on , every 1st September they organize a motor-meeting in memory of Marco, it an occasion for the organizers to contribute to the foundation simoncelli. 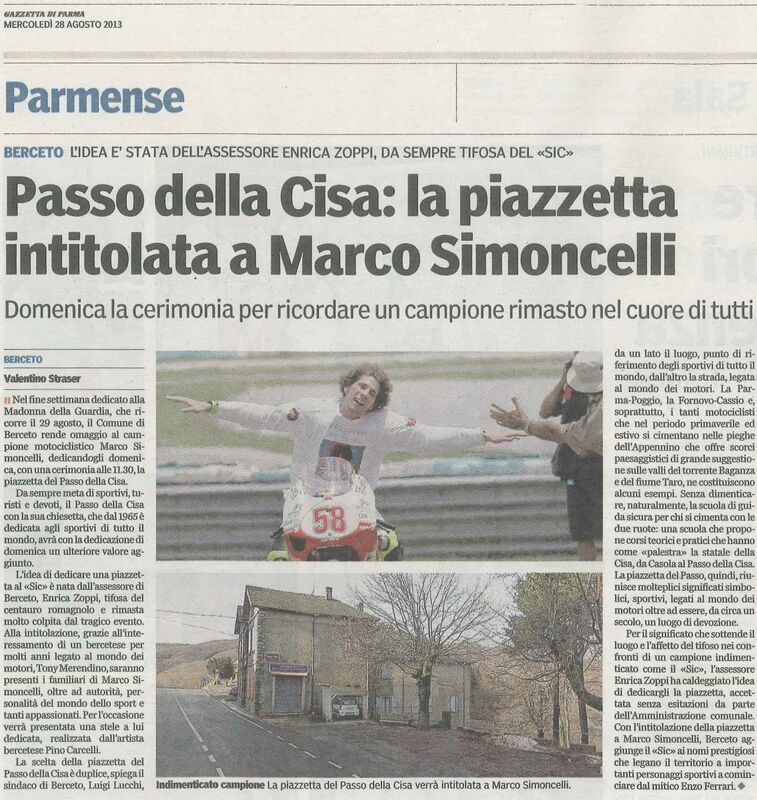 A big thank you to all of the staff for the wonderful organization of this initiative, which really is a very special one to us all at the Marco Simoncelli Foundation .